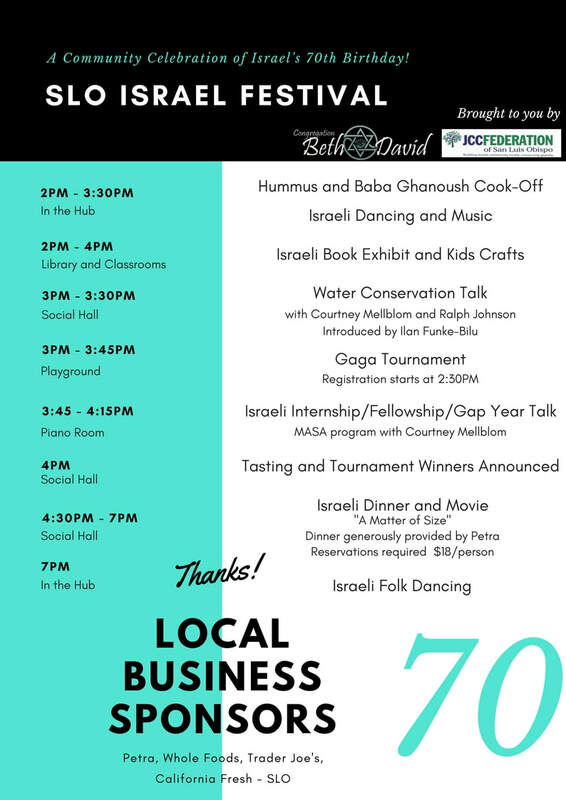 Courtney and Ralph will talk about water efficiency and Israel’s history in developing the technology from 3-3:30pm. 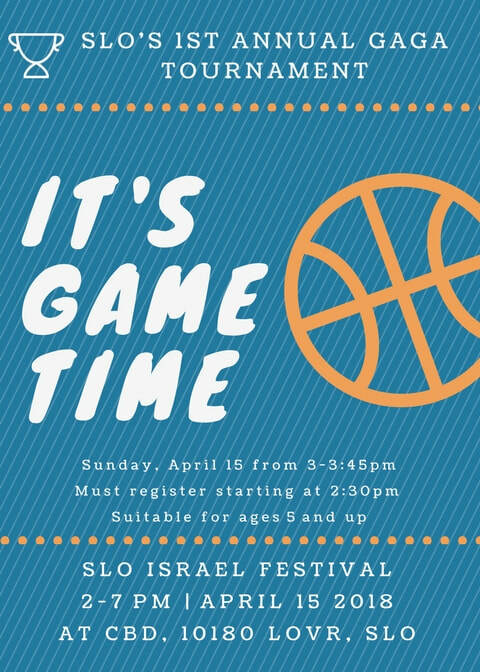 From 3:45-4:15pm, Courtney will talk to interested youth and families about Masa, an Israeli gap year/internship/fellowship program. ​Ralph of Jrjohnson Biodynamic Farms is a San Luis Obispo farmer who has been “planting by the moon” for more than thirty years. He was the first in San Luis Obispo to employ a drip irrigation system. He sells his biodynamically-sourced plants, seeds, and produce at farmer’s markets all over the county. He also co-hosts the Biodynamic Gardening Report, a local podcast and radio segment that gives the Central Coast weekly updates about how to bring biodynamic practices into their own gardens. Courtney Mellblom: Courtney is a Jewish farmer and owner of Farmermaid, where she grows beautiful flowers. Courtney was educated in Sustainable Agriculture and Plant Biology at Cal Poly, and was certified in Permaculture Design in Israel. 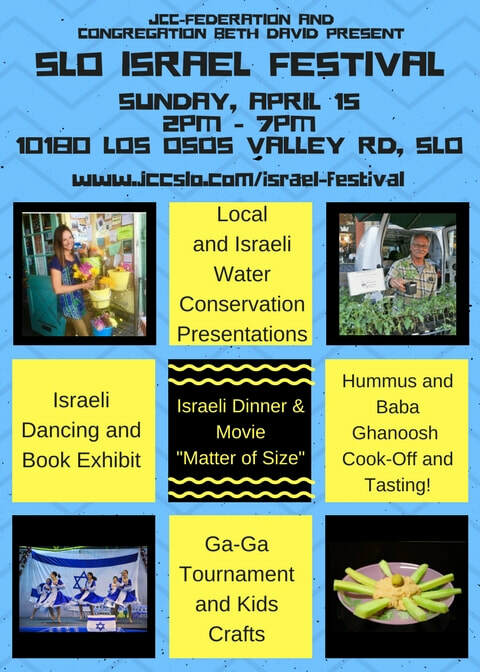 Courtney will speak on her experiences in Israel with Masa, an Israeli internship/fellowship/gap year program, as well as on Israel’s contributions to water and farming practices. After enjoying the festivals fun, food and learning enjoy seeing “A Matter of Size”, winner of three Israeli Film Academy Awards. This is the story of one man’s heartfelt fight to fit into an otherwise shrinking world. Exposed to the noble world of Sumo wrestling, Herzl is instantly drawn to a sport where large people are not only appreciated for their size, but honored and celebrated as true sporting heroes. ​Movie Showtime 4:30pm- Dinner following the movie. Advanced ticket purchase is required - $18.00 per person. Reserve early, seats limited. Call CBD office at 544-0760 for advanced ticketing. Free childcare available. Call CBD office at 544-0760 to reserve a spot. We thank Petra Café for sponsoring our dinner.